Sunday night TV is insanely overwhelming, but since I’m about to head out of the country, I only had time for one show: ONCE UPON A TIME. ONCE UPON A TIME’s fifth season is around the corner, and with it comes Emma as the new Dark One, AKA The Dark Swan. And the show will be busy, because the ABC drama is also introducing Merida (from BRAVE) and diving back into world of Camelot. ONCE UPON A TIME returns Sunday, September 27th at 8 PM on ABC. 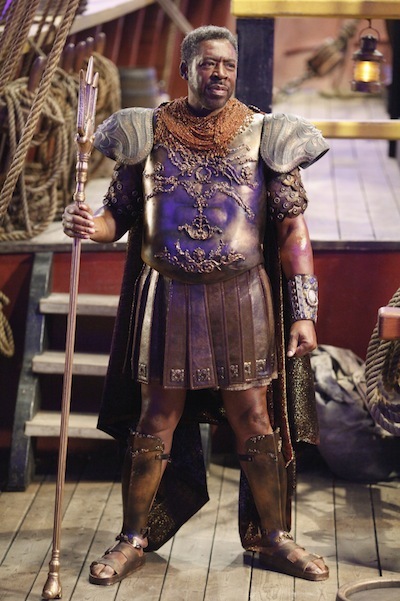 ONCE UPON A TIME is diving into Ursula’s backstory with the appropriately titled “Poor Unfortunate Soul” (which was a song from THE LITTLE MERMAID), and in present day, the Queens of Darkness have, um, not great plans for poor August. ONCE UPON A TIME Oscar 2015 Promo: Is Emma Ready to Walk on the Dark Side? 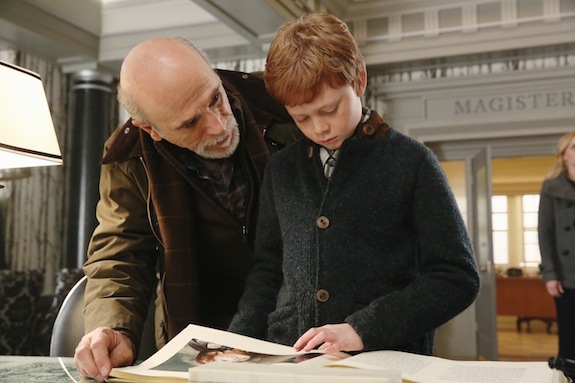 As ONCE UPON A TIME’s Regina, Emma, and Henry continue their pursuit for the author, they go to a likely, if unconventional, source for help: Pinocchio. ONCE UPON A TIME returns Sunday, March 1st at 8 PM on ABC. In Arendelle, when the Snow Queen tries to pit Elsa and Anna against each other and it proves more difficult than she anticipates, she takes drastic measures. Meanwhile, in Storybrooke Emma’s powers are out of control and her fear of hurting loved ones pushes her away from everyone she cares about. 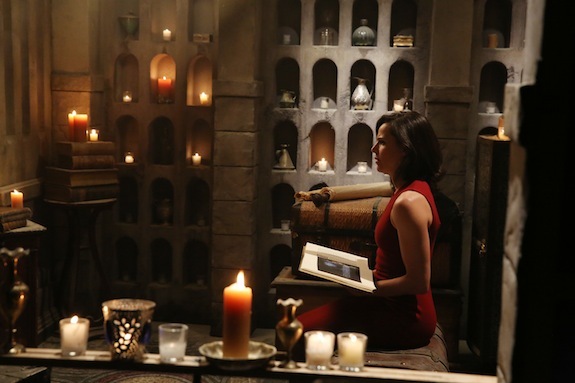 In her confusion, Emma turns to Gold for help getting her powers under control. Gold tells her about a way to get rid of her powers altogether and Hook tries to put a stop to it. Meanwhile, Regina struggles with her plan to find the author of the storybook until her quest takes an unexpected turn. Robin Hood recruits Will Scarlet to assist him on a mission and Mary Margaret and David search for Emma in this special. This Sunday’s episode of ONCE UPON A TIME is called “The Snow Queen,” but the photos from the hour are more focused on Mary Margaret (and her time with baby Neal), and Regina/Robin Hood’s latest encounter. In this Sunday’s ONCE UPON A TIME, Rumple’s little lie weighs on his relationship with Belle as she tries to use the dagger to get Rumple to reveal some information he’s reluctant to disclose. 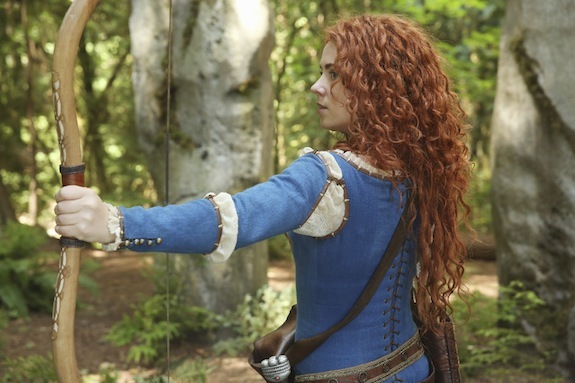 Unfortunately for Belle, she still doesn’t know that Rumple swapped out the real dagger with a powerless replacement. And there is a real temptation for Rumple to confess all to his new bride. ONCE UPON A TIME’s eighth episode this season will be expanded: a rep for the show has confirmed that the episode — airing on November 16th — will be two hours. ONCE UPON A TIME co-creator Adam Horowitz originally broke the news on Twitter, and later clarified that the extra hour is in addition to the already-planned 22 episodes this season. Are you excited for the extra hour of OUAT? Or are you more curious why this specific episode needs more time? The Storybrooke folks are teaming up to try and figure out the mystery of the Snow Queen..and they’re getting a little help from Sidney. ONCE UPON A TIME season 4 kicks off tonight! ONCE UPON A TIME is getting FROZEN for the first half of season 4, and after viewing the season premiere, I wanted to answer a few of your questions.